As your premier Northern California commercial real estate firm, we know how important it is for you to sell your business quickly and efficiently. If you are thinking about putting your business up for sale, there are some things that you should do to prepare yourself and the business to be sold because when you hire us to sell your commercial real estate, you know it will be sold fast. Sell your business the way you would sell your home. Would you sell your home if you never let anyone come in and tour it? Probably not. So why wouldn’t you allow potential buyers to come inside and take a look at your place? You might want to think about adding a fresh coat of paint, fix the railing outside that you have been meaning to fix, or update the furnishings inside so that the potential buys can get a feel for what they are buying. Hiring a broker at North Bay Property Advisors is an invaluable service to you. 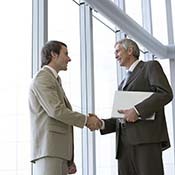 We can guide you and counsel you through the whole process so you know that you are getting the best deal. We can even talk with you about the potential buyers you might see so that you know whether buyers are looking for a fixer-upper or something else. We highly suggest that you put together a packet off all of the important information that a potential buyer may want to know about your commercial property. 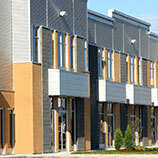 We can help you get all of the paperwork on your business including blueprints or lot information if you need it. If you are no longer able to carry on the business, it is smart to let your employees know that they will be out of a job soon. Giving them enough time to come to terms with the business closing and to find another job before they are out of a job completely will help ease the tension. 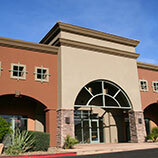 If you are looking to sell your commercial real estate, you need the right team of experts behind you. Call North Bay Property Advisors today.